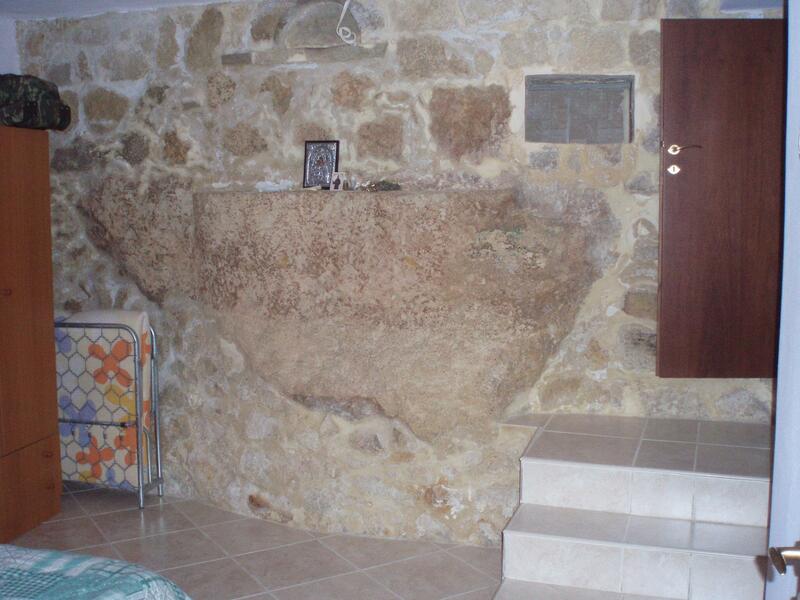 The stone house Michalis is in the village Agios Thomas at 30km from Heraklion. 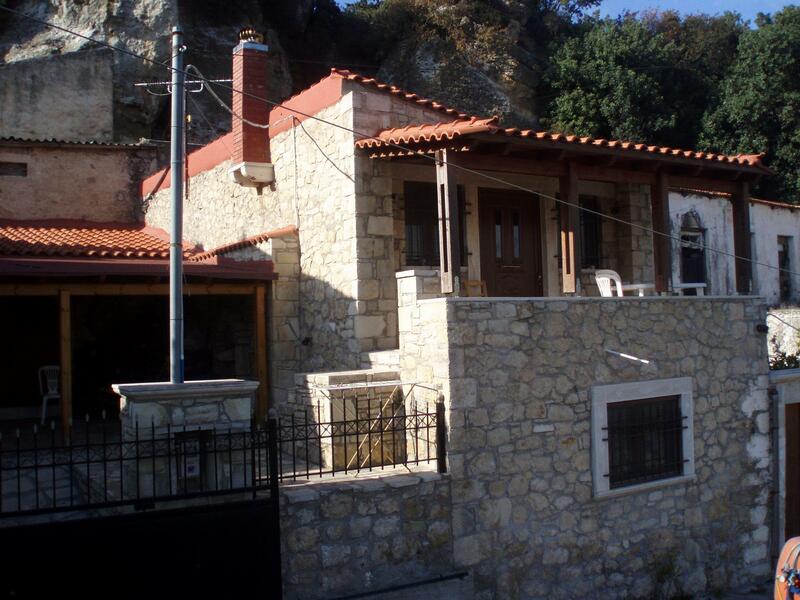 The house is in the village with beautiful views of the nature, is entirely of stone find from the village. 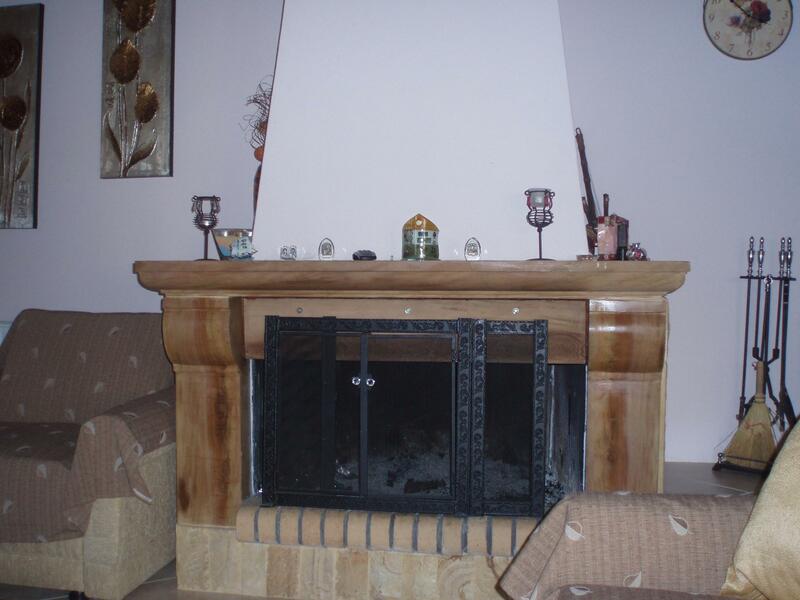 Bathroom, 2 fireplaces, fully equipped kitchen, living room, dining room, storage. 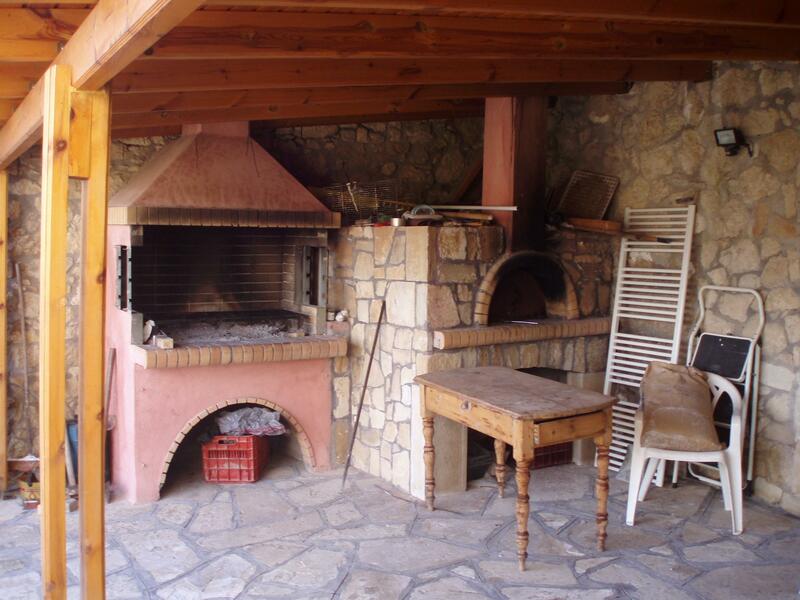 Outside have 80m2 with a big stone bakery and large place to sit and enjoy barbecuing. 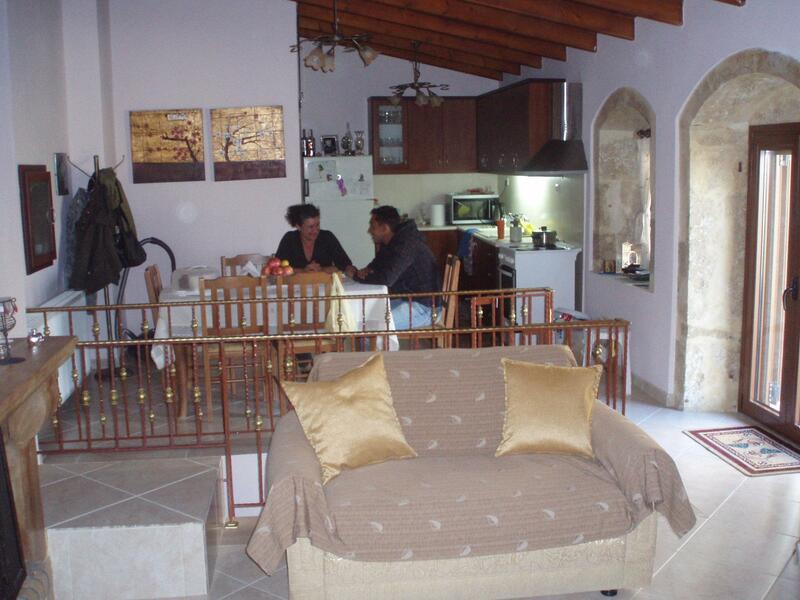 We suggest house Michalis to families and people which they wont to fill the real Crete life. 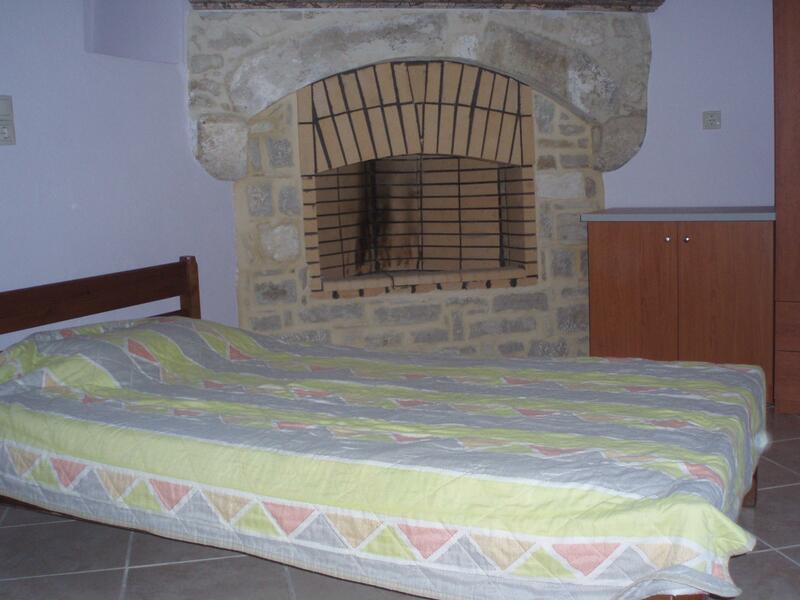 Facilities: Baby Cot, TV. , CD player, radio, hair dryer, washing machine, iron. 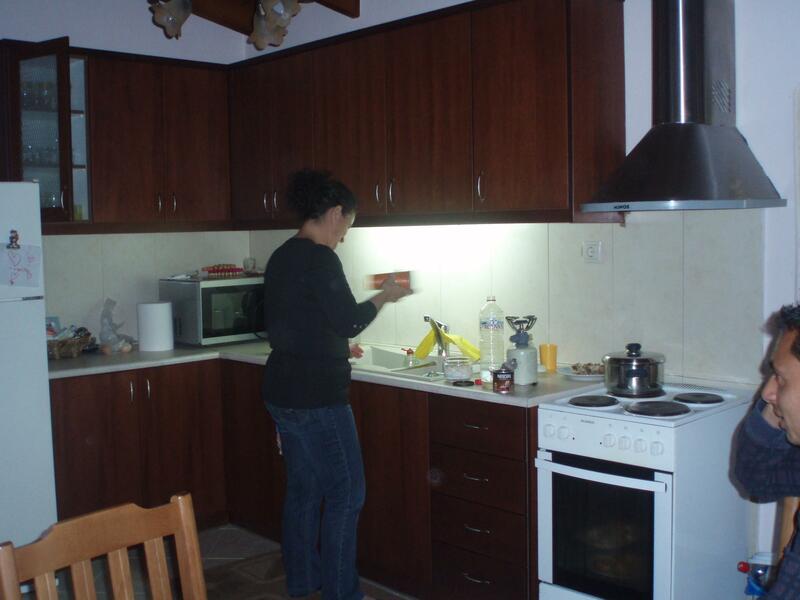 Fully equipped kitchen: Kettle, toaster, refrigerator, microwave, coffer maker. Services: Cleaning 2 times a week, linen change 2 times a week. 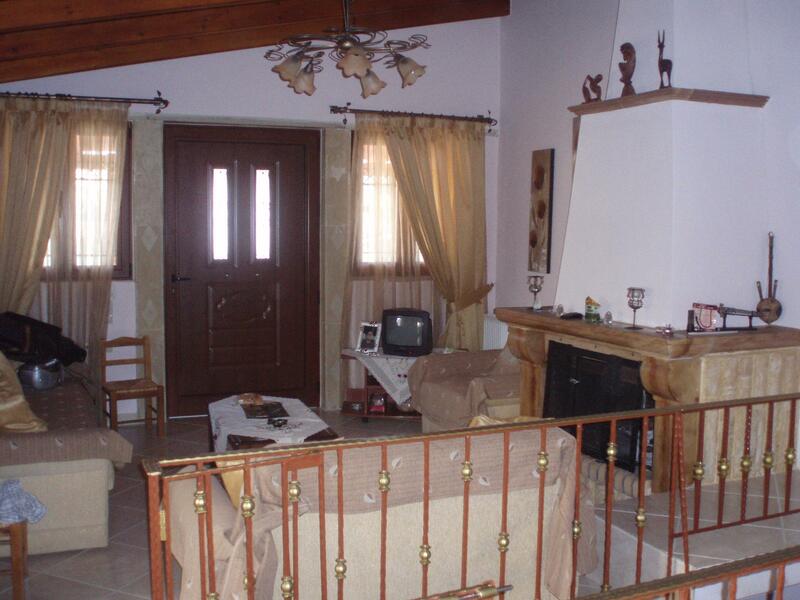 Distances: 30 km from Heraklion, in to the village, 40 min from kalamaki beach. The village of Agios Thomas. In its location used to be an ancient settlement, which has been identified with the town of Pannona. Quite interesting is the cavernous church of Kera Spiliotissa. 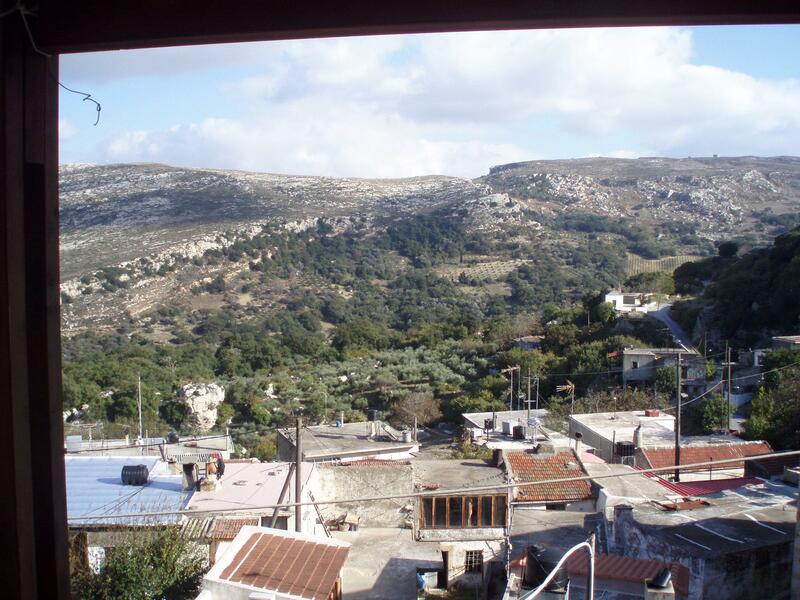 During Turkish occupation the village belonged to veloufio (monastery property) Vezir mosgue (Agios Titos). In the centre of the village there three-aisled old church with a dome in the central aisle of Agios Thomas, Agios Nikolaos and Agios Charalampos.